Mar. 8, 2018—As a freshman at the University of North Carolina-Chapel Hill, Jeff Johns, MD, spotted someone practicing for cheerleader tryouts. Although he had never once tumbled in gymnastics or participated in cheerleading before, Johns asked her to teach him some basics. Jan. 11, 2018—David J. “D.J.” Kennedy, MD, clinical associate professor and residency program director in the Division of Physical Medicine and Rehabilitation with Stanford University’s Department of Orthopaedics, has been named chair of the Department of Physical Medicine and Rehabilitation (PM&R) at Vanderbilt University Medical Center (VUMC). Kennedy will join the faculty on April 1. Sep. 7, 2017—Jeffrey Palmucci, who has served as the interim Chief Operating Officer for Vanderbilt-Stallworth Rehabilitation Hospital since April, has been named the hospital’s Chief Executive Officer, effective Sept. 18. Mar. 30, 2017—Nitin Jain, M.D., MSPH, associate professor of Physical Medicine and Rehabilitation and Orthopaedics, has been awarded a $7.5 million contract to determine whether surgery or non-operative therapy works better for a common age-related injury that costs the health care systems billions of dollars — rotator cuff tears. Feb. 23, 2017—The inaugural class of the Physical Medicine and Rehabilitation residency program is making a big impact on patient care and research at Vanderbilt University Medical Center (VUMC). Feb. 23, 2017—Jeff Balser, M.D., Ph.D., President and CEO of Vanderbilt University Medical Center (VUMC) and dean of the School of Medicine, has appointed a 14-member committee to conduct a national search for the new chair of the Department of Physical Medicine and Rehabilitation (PM&R). Jan. 26, 2017—Walter Frontera, M.D., Ph.D., professor and chair of the Department of Physical Medicine and Rehabilitation (PM&R) at Vanderbilt University Medical Center (VUMC), will step down from his role as the department’s leader on Feb. 28. Oct. 20, 2016—Physical therapists use questionnaires to identify patients at risk for slow recovery, but those tools aren’t tailored to assess the resiliency of injured U.S. military personnel.  Sep. 22, 2016—Lymphedema research conducted at Vanderbilt University Medical Center (VUMC) to better understand patient risk for this chronic condition and treatment responses received recognition at an international conference. Jul. 21, 2016—David Vago, Ph.D., will join the Osher Center for Integrative Medicine in the Department of Physical Medicine and Rehabilitation on Sept. 1 as director of research.